The Brod Law Firm's expert Bala Cynwyd car accident attorneys litigate and settle many successful auto accident cases each year. We are located off City line Avenue in Lower Merion Township which seperates Philadelphia from Montgomery County and extend south into Delaware County. Our office is conveniently located to West Philadelphia and Philadelphia suburbs off the Schuylkill Expressway. Route 476 (Blue Route) extends north and south through Montgomery County county connecting Villanova, Conshohocken, Plymouth Meeting northward. The Pennsylvania Turnpike which extends from Philadelphia to Pittsburgh runs through King of Prussia to Willow Grove and the northeast extension branch reaches the Pocono area. Of course we have Route 76 (Schuylkill Expressway) which runs through Philadelphia, Lower Merion and Upper Merion Townships to connect into the Pennsylvania Turnpike. We have successfully resolved over 1,075 motor vehicle accident claims in Montgomery County alone involving all types of motor vehicles, including cars, delivery trucks, vans, tractor trailers, dump trucks, cement trucks, garbage trucks and tanker trucks transporting combustible materials and foods. Because Gary Brod is a Bala Cynwyd auto accident lawyer who knows how to try auto accident cases and win; he knows how to win top settlements for his injured clients. What Makes Bala Cynwyd Car Accident Attorney Gary Brod the Right Choice? The Bala Cynwyd auto accident attorneys at The Brod Law Firm and victims of rear-end collisions know that these common accidents are no small event. Though rear-end collisions are the most common form of auto accident in America, they can cause a large amount of pain and suffering. The National Safety Council reports that there are 2.5 million rear-end collisions a year, resulting in injuries for many victims nationally and in Pennsylvania. We know injury law and can help you if you have been the victim of a rear-end collision. Though rear-end collisions often happen at low speeds, this does not mean that passengers will only receive minor injuries. Insurance companies try to prove that low speeds do not result in serious injury, but the medical community is increasingly reporting that spinal injuries and serious neck injuries can result from low-speed collisions. All of the Bala Cynwyd car accident attorneys at The Brod Law Firm have contacts with the medical community and are usually able to prove that injuries do result from even low-speed collisions. Since most rear bumpers on cars are designed to protect the body of the car and not the bodies of passengers, the impact from the collision can cause serious physical damage to passengers. Victims are only entitled to compensation for injuries sustained in rear-end collisions in Pennsylvania if their car accident lawyer can prove that the defendant was negligent. Attorney Gary Brod and The Brod Law Firm have litigated many successful personal injury cases and can help you receive the compensation you need. Contact our Bala Cynwyd auto accident attorneys today to get the compensation you need! 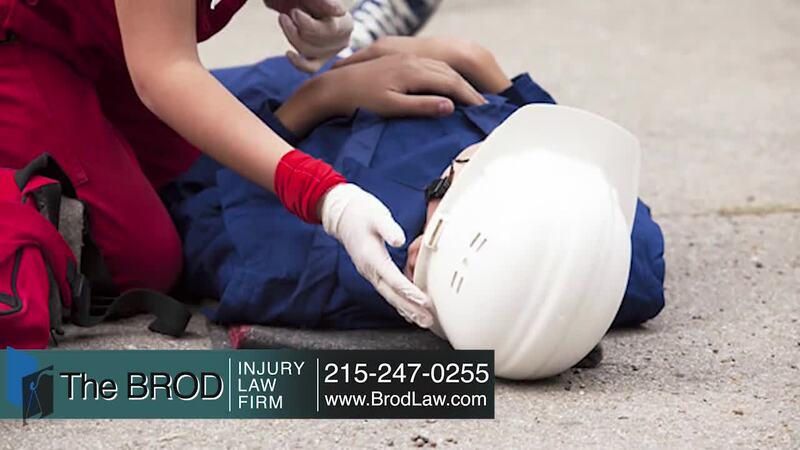 At The Brod Law Firm, we are advocates for victims of automobile accidents in Bala Cynwyd and surrounding towns of Merion, Ardmore Bryn Mawr, Narberth and Villanova. Auto accident attorneys at our firm work tirelessly with the medical and legal community to increase awareness about the long-term effects of soft-tissue injuries. We know that whiplash victims can continue to experience symptoms even well after the accident has occurred. A study by the Clinical Neuroscience Department at the Karolinska Institute in Stockholm, Sweden found that victims of whiplash often report continued symptoms up to seven years after the original injury! Though all passengers who are involved in rear-end collisions can experience whiplash symptoms, women are more likely to sustain serious whiplash injuries. A likely explanation for this trend is that women have smaller muscles in their necks. By retaining a Pennsylvania car accident lawyer from The Brod Law Firm, you will take the first step to finding the compensation you need to take care of serious neck and back injuries. Our Bala Cynwyd car accident lawyers are well aware that the pain and suffering caused by automobile accidents do not end directly after the accident. That's why we continue to support our clients even after the case is over. Victims of head-on collisions can seek damages against the other driver only when the plaintiff can prove that the defendant was negligent. This means that, under law in Bala Cynwyd, car accident attorneys and their clients assume the responsibility of proving negligence on the part of the defendant. At The Brod Law Firm in Bala Cynwyd, Montgomery County, car accident lawyers successfully litigate these automobile head-on collision cases each year and garner awards for our clients. Contact a Bala, Pennsylvania car accident lawyer today to get the compensation you need! Our clients have suffered a wide range of injuries as a result of head-on collisions in Bala Cynwyd. Car accident lawyers at our firm report that the most common moderate injuries received from head-on collisions are head and neck injuries. These are often accompanied by back injuries, broken bones, cuts and bruises and other soft-tissue injuries. Severe injuries can include brain damage, spinal fractures and internal injuries. Head-on collisions can also result in fatalities. Driving while under the influence of drugs or alcohol severely impairs one's ability to drive a car. Even so, millions of Americans are injured each year as a result of collisions with drunk drivers. At The Brod Law Firm in Bala Cynwyd, Montgomery County our drunk driving accident lawyers aggressively fight for your rights to compensation. Under the law, victims or their survivors of these types of collisions are entitled to compensation for injuries or death. At The Brod Law Firm in Bala Cynwyd, car accident lawyers successfully litigate these cases each year and achieve sizable awards for our clients. We deal from strength, never from weakness. Bala Personal Injury Lawyer Gary Brod begins meticulous and painstaking preparation of his cases for trial from the first day he meets his clients. He always fully prepares the case to go to trial, carefully selects the proper experts, does the diligent investigation, researches every point of law about the case and takes depositions of all persons with information on the case.The defendant and the defendant's insurance company know of our years of experience and successful track record and sooner or later realize how well prepared we are.That is the reason that 90 percent of cases are satisfactorily settled before trial. What Makes Gary Brod a Top Bala Car Accident Attorney? Our Bala Cynwyd car accident attorneys recommend that you take several important steps after an automobile accident. First, insist upon receiving immediate medical attention. Even if you do not feel injured at the moment, it is possible that you will develop injuries later. If you feel any pain at all, no matter how insignificant it seems at the time, insist that the medical provider include that in his or her report. Also, request that the driver of the other vehicle receive a medical exam, as well. Under no circumstances should you sign any documents that say you are not injured. Do not give interviews that could potentially be used against you in the future. The Brod Law Firm's experienced auto accident attorneys welcome you to contact our offices at any time. It will not cost a penny to speak to Bala Cynwyd Attorney and Injury Lawyer Gary Brod who will personally handle your case, nor will it cost you anything up front to retain his services as he carries all costs. In your no obligation consultation your case will be discussed and the facts will be reviewed and evaluated on the spot by Gary Brod with an opinion of what we can do for you and your case. We handle auto accident injury cases throughout the state of Pennsylvania. At The Brod Law Firm from its locations in Bala Cynwyd our car accident lawyers successfully obtain settlements or trial verdicts for clients. Contact one of our expert personal injury lawyers today. Why settle for less than you deserve. Insurance companies have trial lawyers. Shouldn't you have an experienced personal injury trial lawyer on your side? Call Gary Brod anytime at 888-435-7946 (888-HELPWIN) or contact us online for a free no obligation consultation and explanation of your legal rights. We are also very convenient to Philadelphia areas of Manayunk, Roxborough, East Falls, Overbrook Park and West Philadelphia.